Hello and thanks for stopping by our page! Call and schedule in for a consultation today! We CAN help you! Debt Eraser LLC Credit Repair Company was founded by our company's CEO Keri Sanders as a result of the collapse of the mortgage and housing industry and the trickle down effect it had on thousands of other businesses including the American and global economy. As a result of the down turned economy, millions of Americans have found themselves with Foreclosures, Repossessions, Liens, Collections, Charge Offs, Wage Garnishment, Bankruptcy's, Judgments, and many other negative marks on their credit reports. Are you having trouble getting a car or home loan, or think you are not getting a good rate because your credit score is lower than you'd like? Is your credit score being sabotaged by poor payment history, inaccuracies, or debts that aren't yours? Or are you afraid that your credit is so bad that you're actually embarrassed for someone to run it? I promise we will help. At Debt Eraser, we're not here to judge, we're here to help. We're here to help relieve you of financial stress as well as the emotional stress that follows when you're so deep in debt it's hard to keep your head above it all. 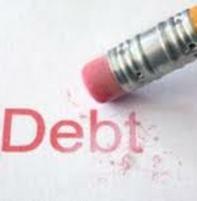 Our mission at Debt Eraser is to help turn negative credit into positive credit. We do this by challenging the three major credit bureaus on your behalf. We have been extremely successful in raising FICO scores all over the nation. We do this carefully, ethically, and legally. According to the Fair Credit Reporting Act, there are many things you can do to challenge the inaccuracies on your credit file. Unfortunately, many people have no idea how to utilize these resources. They write letters, call the wrong numbers, read the wrong instructions, then after months of fruitless efforts they finally give up and accept their fate. Others fall prey to scam repair companies that charge outrageous amounts, charge monthly fees like a membership, and finally show no results. 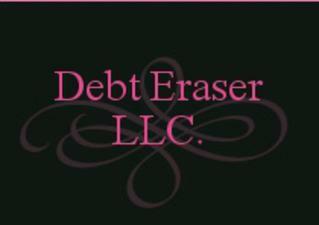 If you have a Facebook page you can look us up at Debt Eraser LLC and peruse through our client testimonials. We have already helped thousands of Arizonan's restore and gain good credit. Now we can help you and the rest of the country.